Gift cards are a convenient way to give your friends and loved ones "just the right thing" at holiday time. They also give thieves an opportunity to make off with your money, according to a public service announcement issued by the Federal Bureau of Investigation. Read more. When you're short of cash, raiding your 401(k) plan may seem like a good idea. Here are two reasons why it isn't. Read more. As a business owner, you know how much effort goes into attracting new customers. So once you've found a new customer, you want to keep that customer as long as possible. Good communication can help. Read more. Celebrate your 65th birthday with federal income tax benefits. Here are some of the breaks available once you reach age 65. Read more. Be aware of credit card "liability shift"
Mitchell & Nemitz, PA is excited to announce the recent launch of our firm’s new website. We’ve been working very hard to enhance our website and give our firm a fresh look. We’ve also continued to research and identify the latest and greatest technologies to improve the services we provide and ensure we continue to meet your needs. Please refer to the link below to see how the changes with NC Sales tax will affect you or your business. Pay close attention to part two, which focuses on the two main areas included in the expansion of sales tax, live event admissions and service contracts. Please do not hesitate to give us a call with any questions or concerns, we are always here to help! 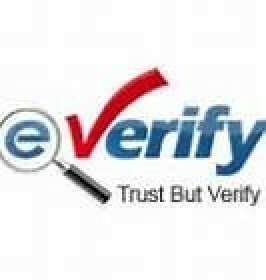 Beginning July 1, 2013, North Carolina employers with 25 or more employees are required to use the E-Verify system to verify the employment eligibility of new employees and to verify their identity. Based on IRS regulations, it's up to donors to document and assess the value of all donations to Goodwill.